Reggae is included in the 4th category of the VCE Music Group Performance list with Funk and Soul. Reggae originates from Jamaica with its most well known performer being Bob Marley. The music gained wider appeal outside of Jamaica during the 1970s. Performing a reggae song authentically is one of the most challenging styles in the VCE group performance exam. So much of the playing technique in reggae needs all members of the band precisely performing their part. The feel created by reggae is reliant on interaction. The music fits together like a jigsaw puzzle. Everyone must honour the space they are provided. Making the music groove and feel good is key. 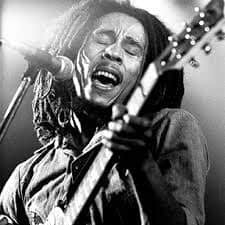 As testament to how difficult this style is to master is a story regarding the first Bob Marley album to be released to the UK and USA markets. Experienced professional studio musicians were hired to overdub music to sweeten the songs to cater to the rock music market. They had great difficulty in playing along with the complex rhythms found in reggae. The biggest problem they had was finding beat one of the bar. This is due to the independence of the instrument parts and the heavy syncopation (playing off beat) found in the style. Master Blaster – Stevie Wonder. Underneath It All – No Doubt. Is This Love – Bob Marley. Count Your Blessings – Damien Marley. Blackbird – The Beautiful Girls. Don’t Let Go – Spawnbreezie. Each instrument plays such a unique part in creating an authentic reggae sound. Here are some tips for each instrument to apply to any song you chose in this style. play with a clean tone, turn that distortion pedal off. A wah pedal is often used for single note melody parts. play barre chords. This allows you to control the strings to make your playing choppy by left hand muting. The control of pressure of your fingertips has a lot to do with this. sounds should be very percussive. This music is so reliant on the groove of the rhythm. Sounds must be a short duration. strikes of chords are down strummed but are placed between the beat. often one guitar will double the bass line. This video gives some very good examples of techniques you will use when playing in a reggae song. this style should be played fingerstyle to get the smooth round tone required. Find a smooth sweet tone by varying the placement of your right hand to get a balanced tone. leave space, you shouldn’t be playing all the time. Unlike rock music where the bass will drive the song, the laidback feel of reggae relies on silences. think of the melody of your line. Know the arpeggio of the chords in the song as reggae lines are often arpeggio driven. This video shows a good history of styles within the reggae genre. Listen to your song and decide which techniques will apply. understand the one drop drum, rocker and stepper beat patterns. The placement of the kick drum creates the difference between each pattern. Each has its own character and feel that it adds to the song. cross stick playing is commonly used. Snare hits are left for fills. check out the hi hat playing by Stewart Copeland, drummer for the band The Police. The hats play a key part in creating melody in a reggae drum beat. Check out this video that describes the one drop rhythm pattern for drums. steady playing between the beats of the bar (playing the AND), known in reggae as the bang. playing is often short and choppy stabs of chords. know how to play the bubble rhythm technique. Each hand will have its own job such as the left hand playing in between beats while the right will play on beats two and four. This video gives an excellent example of what rhythm to play on keyboard during a reggae song. We hope this gives you some insight into playing the complex rhythm styles of reggae music. It is essential to understand the style for your instrument to give authentic interpretations. For more help with your VCE study contact the Eastern Suburbs School of Music via the contact form on the right of this page or by calling Rhys on 0421 705 150 to book lessons.